One of my favorite things is when I discover a new to me blog and I did that recently when I came across Alice’s Savory Sweet Life. Once I stumbled over there I was hooked. I spent a solid hour flipping around the recipes. And then I bought her cookbook. I could not wait to try something so I picked something that jumped out to me which was Alice’s Strawberry Almond Stuffed French Toast. How could I pass that up?!?! It is no secret that I prefer a savory breakfast/brunch more than a sweet one. But… when I have something sweet I go all out. Syrup is my downfall at breakfast. I love it all over pancakes, french toast, and oatmeal so it is no surprise that when I saw this recipe I just knew I would have to make it. It reminded me of a stuffed french toast I had at Stephanie’s On Newbury when I first moved up to Boston. Nice reminder what a great brunch I had years and years ago when the city was so new to me. I made some changes to the original recipe based upon what I had on hand and my on preferences. I swapped out the sour cream for greek yogurt, upped the amount of almond extract, and used a mixture of egg whites and whole eggs instead of using just whole eggs. Also, I mixed the strawberries right into the cream so it would be a consistent flavor and texture throughout the piece of french toast. This stuffed French toast is so amazing. It is soft, fluffy, sweet, and so delightful. 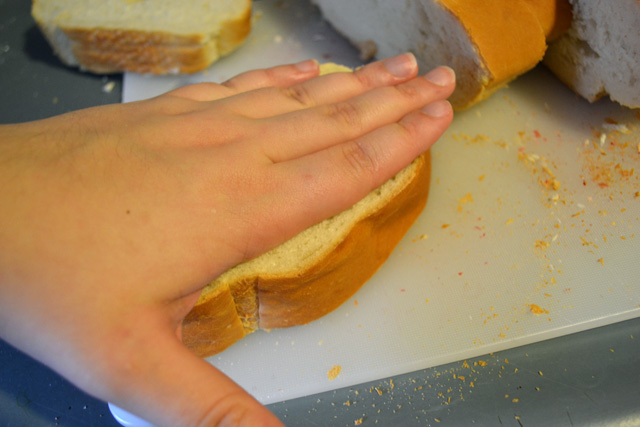 It is very easy to prepare and will satisfy everyone! Now don’t fret if you don’t have a crowd to serve if you are craving it. I individulally wrapped slices of cooked french toast and then froze them. 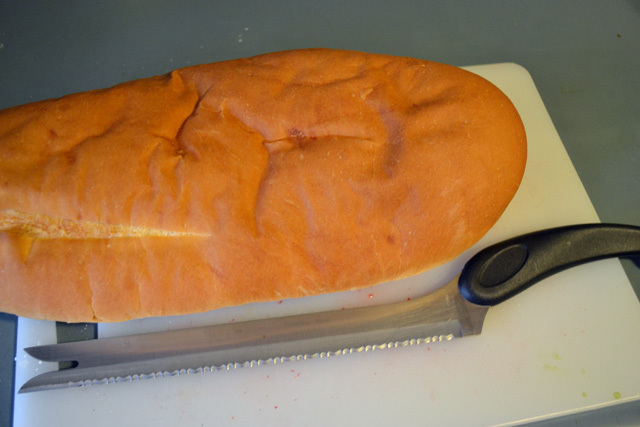 Since then, I have brought slices out to enjoy at a later day and I have just had to let them thaw and have them warmed them in a skillet or toaster oven. yum!! 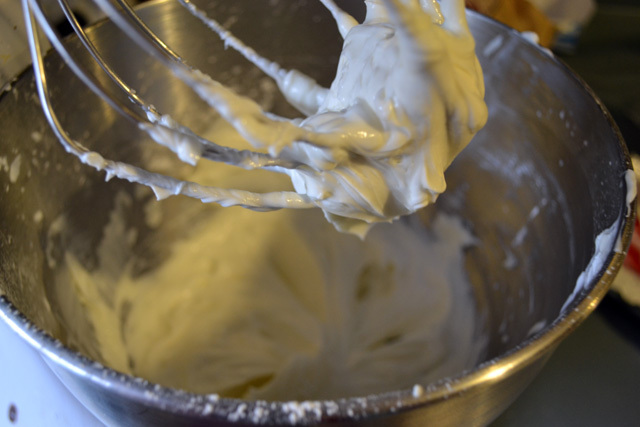 Using an electric hand or stand mixer, combine the cream cheese, yogurt, confectioner’s sugar, and almond extract until light and creamy. 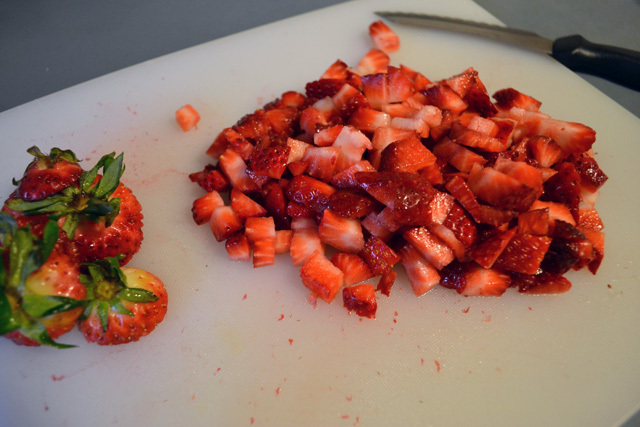 Fold the strawberries into the mixture. 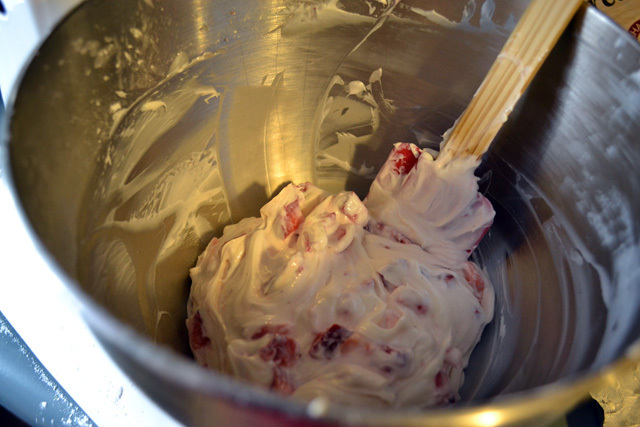 Transfer the cream mixture to a bowl or to a large piping bag. 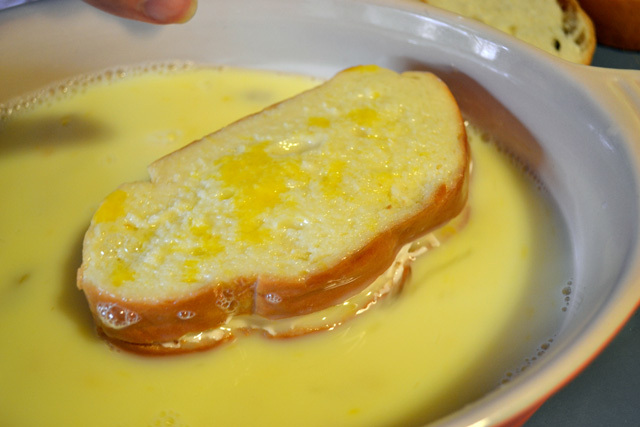 In a shallow bowl, like a casserole dish, beat the eggs, milk and almond extract together. Spoon or pipe out 2 generous tablespoons of the filling inside the pocket of each slice. 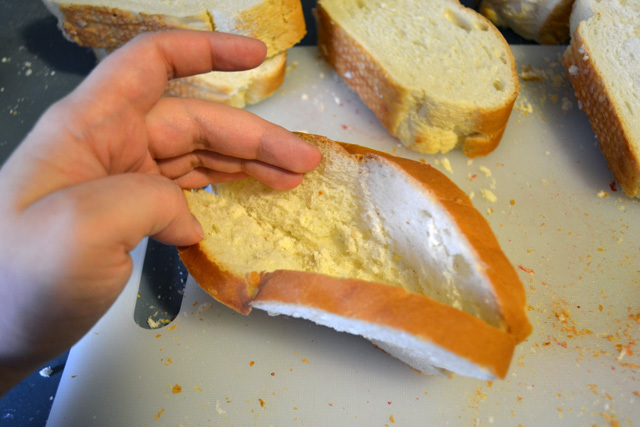 Gently close each slice of bread to help the filling stay inside. Over medium high heat, heat a non-stick skillet to prepare it for the french toast. Immediately prior to putting pieces on the skillet, spray the pan with non-stick cooking spray or put a pat of butter on it. 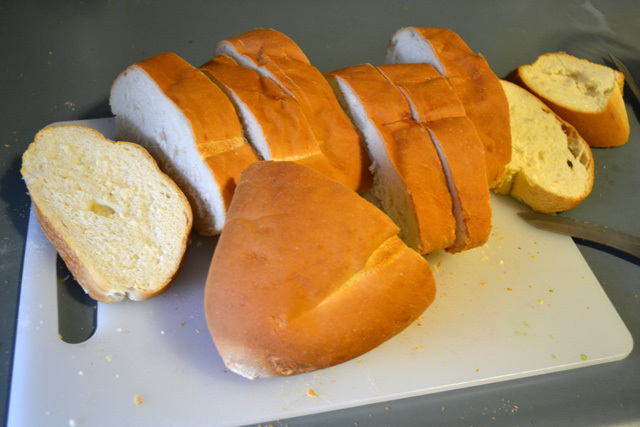 Once the pan is heated up, dip slices of bread in the egg mixture to coat both sides. 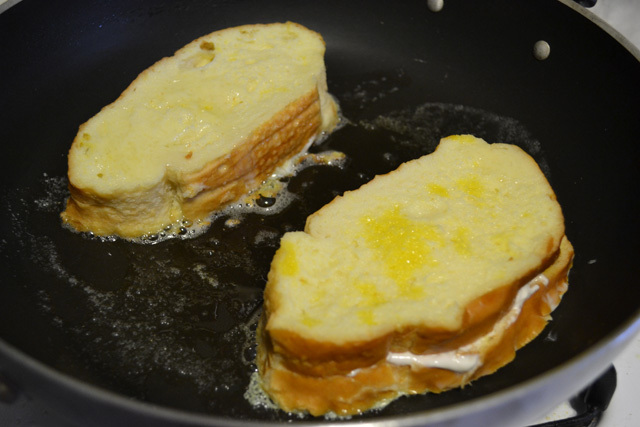 Cook each side of the stuffed french toast is golden brown. 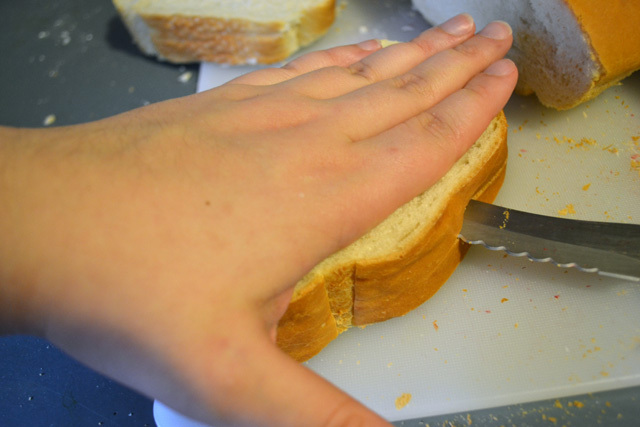 Repeat this process until all slices are cooked. To garnish the dish, dust with confectioner’s sugar and slivered almonds or spoon any left over strawberries cream mixture on top of each slice. Serve with maple syrup, if desired. 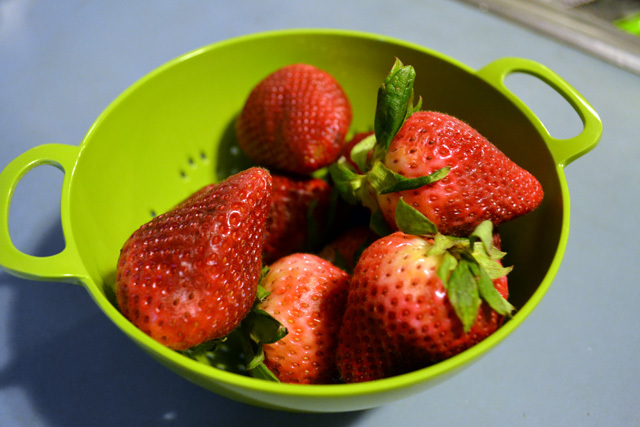 Strawberries and French toast is perfect. Have a fantastic time this summer. I’m super jealous. 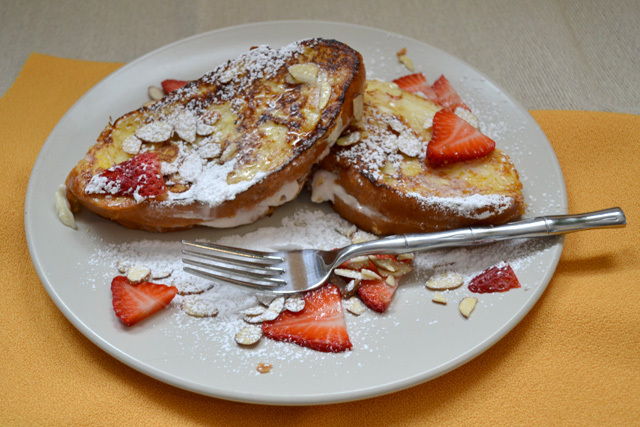 We love strawberry stuffed french toast but I’ve never done it with almonds and almond extract! I think I have all the ingredients – Easter breakfast?! oh yum, this looks awesome. 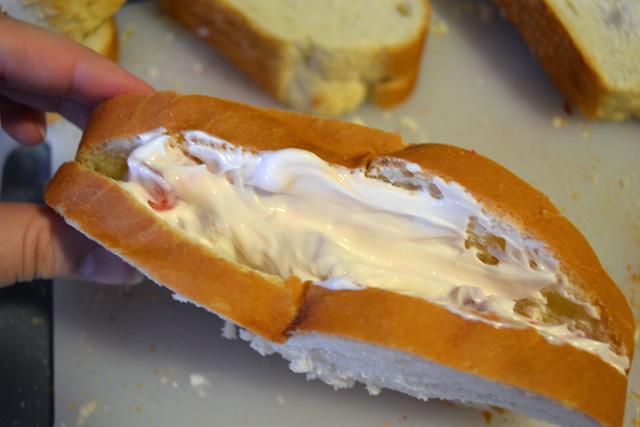 i’ll definitely have to try making this one weekend!